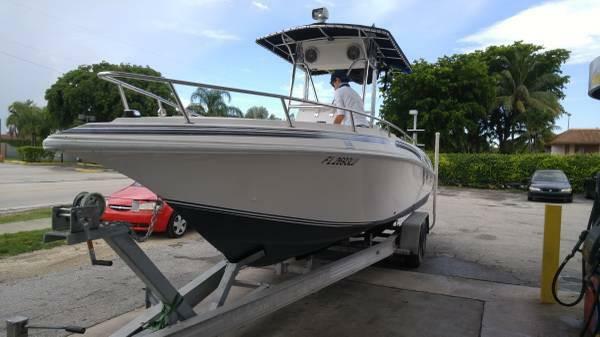 *** Update December 2015 *** Before this fishing machine was put into storage this year, the owner had an additional fuel tank professionally installed. That extra 40 gallons brings your total fuel capacity to 75 gallons meaning a lot more time on the water without needing to refuel. Stock #058483 A Gorgeous Fishing Machine, Virtually a new boat as of 2013! Only 8 hours on the Rebuilt engine. 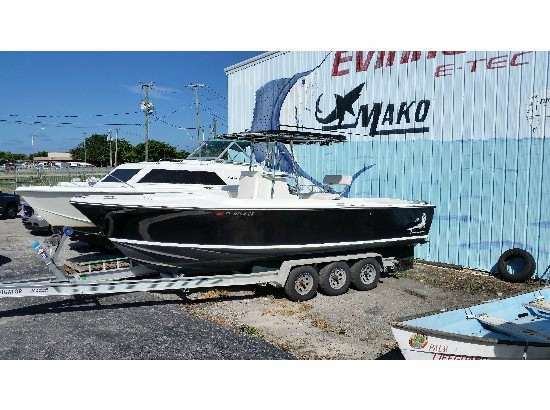 If you are in the market for a center console, look no further than this 2013 Custom Built 25 Center Console, just reduced to $19,500 (offers encouraged). 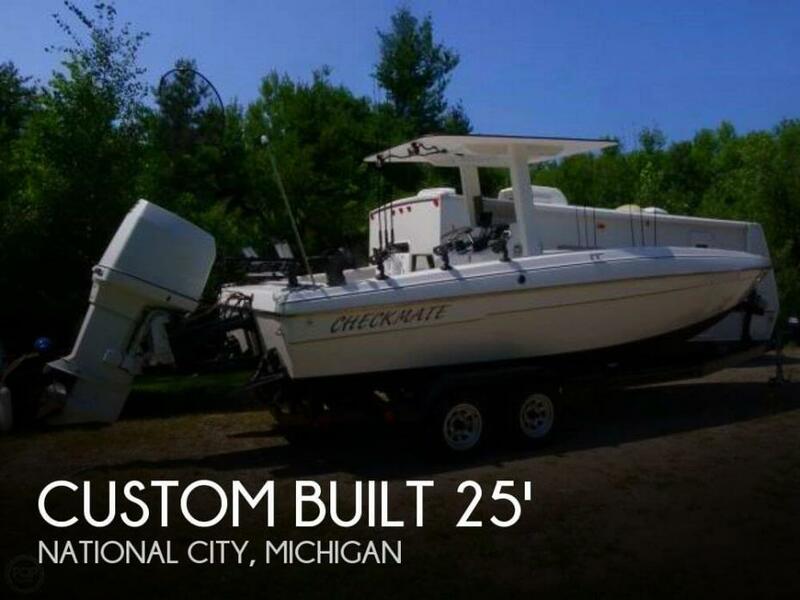 This boat is located in National City, Michigan and is in great condition. She is also equipped with a Johnson engine that has only 8 hours. 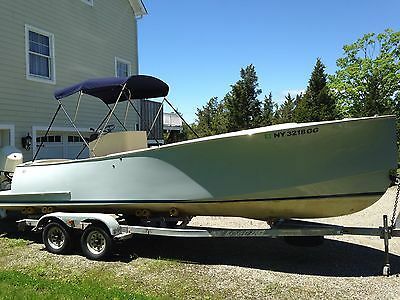 1985 Ultimate 25 Center Console Ultimate 25 center console powered by a 1997 Yamaha 250 OX66 fuel injected engine. Trailer pictured included. Ultimate's were built in Miami out of Kevlar with foam and Kevlar stringers. This one also has a Nydacore deck and custom integrated fiberglass bracket with swim platform. 2 insulated below deck fishboxes in the bow and an under deck livewell in the transom floor. The hour meter reads 58, but it's my guess that the actual engine hours are more. This is how it was set-up when the current owner purchased the vessel about 8 years ago. It was painted with Awlgrip about 5 years ago. There are a few drips and overspray, but that doesn't compromise it's structural strength. The hull is as solid as they come. The self bailing deck is hard with NO soft spots. The marine grade wiring is all newer than the vessel, along with a newer switch panel, switches and breakers. It's a rugged, no nonsense hull with reliable Yamaha power. Here's what's included; BD60 through hull transducer Working Fusion stereo with 6 speakers, 2 sub woofers and an MB Quart amplifier. Working Lenco trim tabs. 4 underwater lights, 2 green and 2 blue. 4 blue interior LED lights. Lights for the center console and anchor locker. 2 baitwell pumps. New U-Flex hydraulic helm coupled to a Seastar steering ram. VHF radio Newer trailer lights & spare tire with spare hub Fishbox pumpout 2 fuel tanks. 1 is 30 gal. the main is 80 gal. 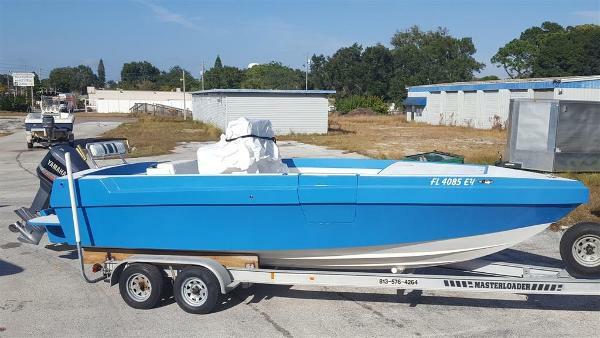 2002 Fountain 25 Center Console FOUNTAIN 25 CENTER CONSOLE 2002 Fountain 25 CC 300 XS !!! Fountain 25 CC The motor shows 290 hrs but only has 15 hours since FULL REBUILD by a reputable Mercury Racing shop. It has a 2006 300xs that purrs perfectly. Have all receipts. Has an upgraded sound system, custom trailer to accommodate the fountain beak, underwater lighting, ect. Interiors were redone two years ago. FINANCING AVAILABLE!!! Custom designed and hand built cold moulded boat using the West system. One of a kind finished in 2012. 23 degrees deadrise, plumb bow, tumble home and full transom are incorporated into her design. 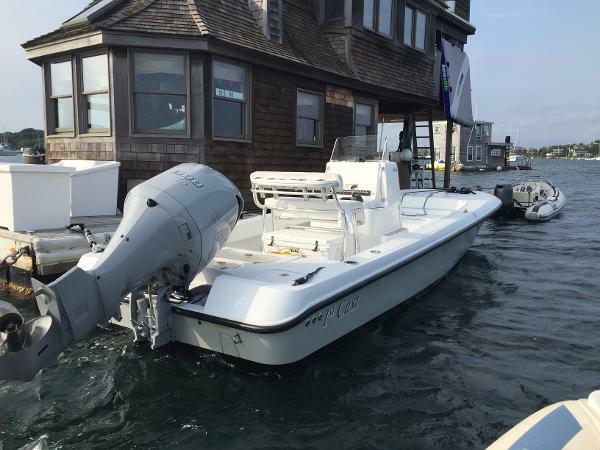 2012 175 hp Evinrude E-Tech. A true must see. Trailer, GPS, and more. Has a ride and look like no other boat on the water. 2017 C-Hawk 25 Center Console We believe in the keep it simple philosophy and our design is enhanced by the battleship toughness of our construction. Since many of our boats are used in commercial applications, they must be built to withstand an environment that is much more non-forgiving than that of the recreational environment. We use high quality ArmorFlex gelcote to prevent cosmetic problems. Our laminate schedule calls for alternate layers of woven and chopped mats which are hand-rolled by a team with over 30 years experience in lamination. All core materials are no rot Perma Ply marine Core to add to the structural integrity of our hulls. Stringers are 100% encapsulated in glass and resin and our Unistructure system bonds stringers, floors and transforms into a single unit providing for additional structural strength. The coastal environment brings with it corrosion, at C-Hawk, we take extra measures to fight Mother Natures dislike for metal. We use only the highest quality 316 stainless steel deck hardware. All of your wiring harnesses are custom made in house from the finest trimmed cooper wire. Providing you with a quality product and many years of boating pleasure is the goal of each employee at Custom Fiberglass. Their dedication, craftsmanship and pride in their work continue the tradition of excellence started in 1977. The tried-and-true C-Hawk construction methods have proven to withstand the most severe applications. 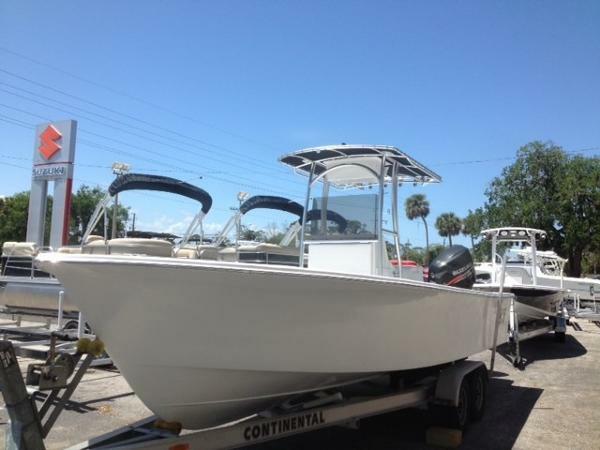 2013 Contender 25 Bay Center Console Like new 2013 Contender 25 Bay Center Console. Only 110 hours with Yamaha warranty through February 2019. The Contender 25 Bay has an innovative sleek hull that is a phenomenal ride with impressive performance and economy. Nothing beats a Contender. Popular options on board:Additional Battery and Additional Bilge PumpTrim TabsConsole WindshieldRear Jump SeatsGarelick Boarding LadderFish Box with Macerator Livewell pump upgrade to 1100 GPH8 Vertical Rod HoldersFreshwater SystemSaltwater WashdownHigh Speed CompassStainless Steering wheel with knobCustom Painted Engine Please call ahead - the boat is located off site. Call, text or email for further information. No trailer included. 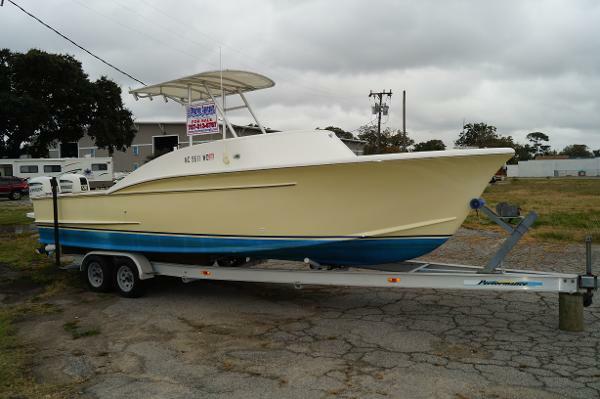 Outstanding 2006 Seacraft 25 Open Center Console here for sale TRAILER INCLUDED! Powered by twin Mercury 200 Optimax with only 400 hours! All new updated Garmin Electronics!! Dual Garmin 5215 Multifunctional Touchscreen Displays, 600w Transducer, GSD22 Sounder, GMR24HD Radar, GHP10 Autopilot, Fresh and Salt Water Wash Down. Runs Great, Rides Great and Looks great!! Call us anytime ti set up a appointment. Easy to see in North Miami by 135th and Biscayne! 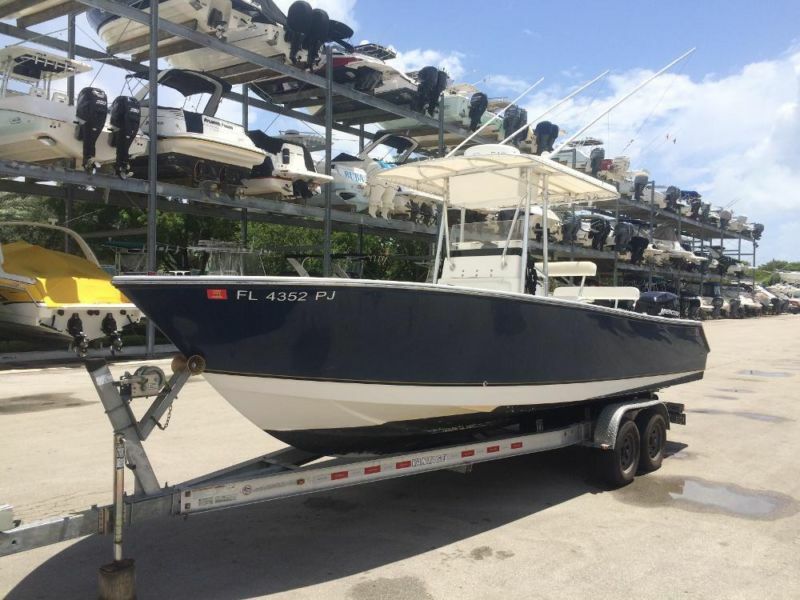 SUMMER BLOW OUT SALE $47500 INCLUDING TRAILER- CALL RIGHT NOW The SeaCraft 25 Open Fisherman is a finely styled boat built for both the discerning family boater and the fisherman alike. With the SeaCraft Variable Deadrise Hull to build on, the 25 blends form and function with equal measure. 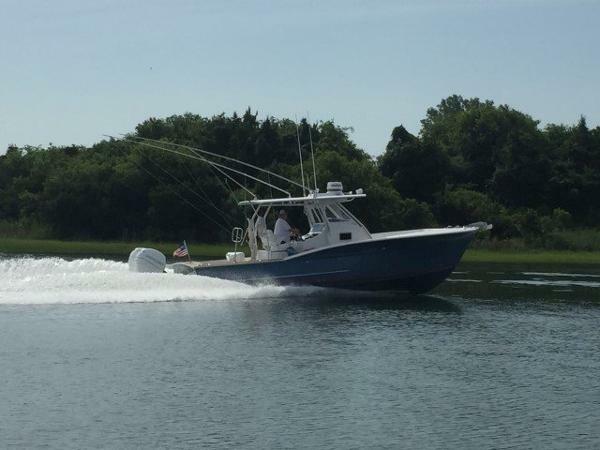 The SeaCraft 25 Open Fisherman comes complete with an ergonomically designed console, standard custom T-top with rod holders, leaning post with storage box and rod holders, two baitwells, saltwater washdown, 166-gallon fuel tank, and a host of high quality hardware. The 25 Open Fisherman performs with notable results attaining a top-end speed of near 55 mph, and trolling comfortably with incredible stability. 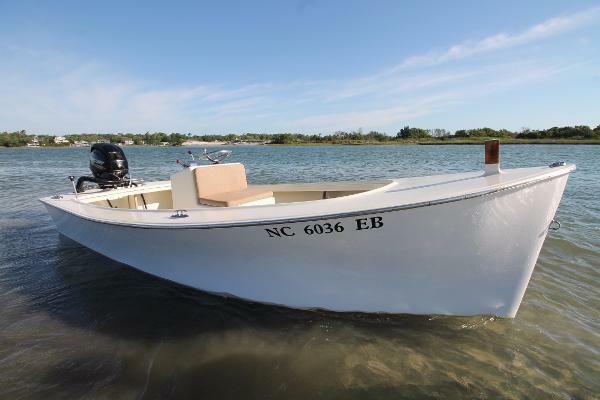 Please call boat owner Heather at 757-255-2354 or 757-777-8410. Boat is in Suffolk, Virginia. FOR SALE 26 ft 2007 C-HAWK with CUSTOM MADE Tuna Tower, rigged for off-shore, 225 OptiMax, professionally maintained Custom made curtains, outriggers, brand new fish finder, gps equipment, stainless steel prop. 2007 Loadrite trailer. All custom items, radios, GPS, fishfinder, Curtains, cobia tower, ss prop, outriggers, ss rod holders, trim tabs total more than the asking price of the boat The Tower is removable. NO PAYPAL. CASH OR CASHIERS CHECK ONLY. For more details visit: http://www.BoatsFSBO.com/97182 Please call boat owner Michelle at 314-610-6298. 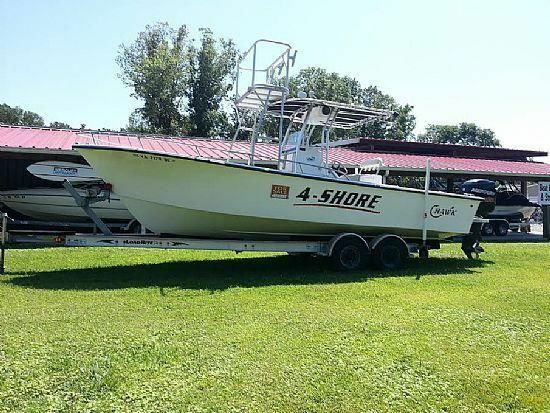 22 ft. Angler center console boat and trailer. Engine and electric were rebuilt in 2013. 250 hp Mercury offshore engine. New stereo and speakers. New marine band radio. Bow pulpit offset transom that can serve as a swim platform. Only been used in fresh water. Custom made cushions for the front area (which are not in the pictures).